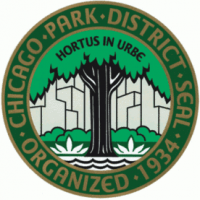 The Chicago Park District invites local nature lovers to Birding Class: Save Our Birds from 9 a.m. to 11 a.m. on Saturday, April 27, 2019, at the McKinley Park field house, 2210 W. Pershing Road, Chicago. Right now, birds in Mexico, the Caribbean, Central America and South America are heading to Chicago. Ornithologists and birders will be out in the park to welcome them when they arrive. Experience the bird life of the city in this session, one of four in a springtime series at McKinley Park. In the Meet Our Birds session, participants will work to restore bird habitat in McKinley Park. Participants should bring binoculars, a notebook and a field guide (or borrow from others); they should dress for the weather and be prepared for muddy feet.